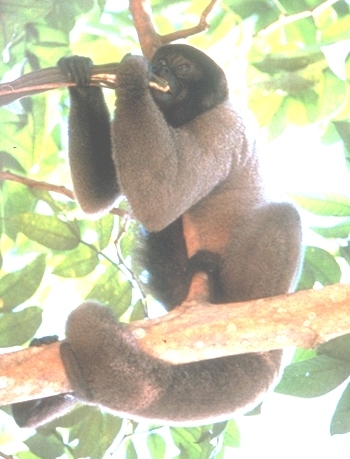 Currently, Ateles is composed of six-seven allopatric species. The black spider monkey lives in Central and South America. They are large monkeys, weighing 15-19 pounds, that have a long, prehensile tail. Todays’ entry is my favorite platyrrhine. 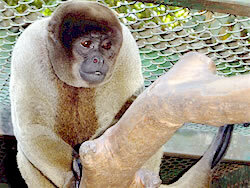 Woolly monkeys are a prehensile tailed species (there are two L. lagotricha and L. flavicaudata) related to spider monkeys and howler monkeys.